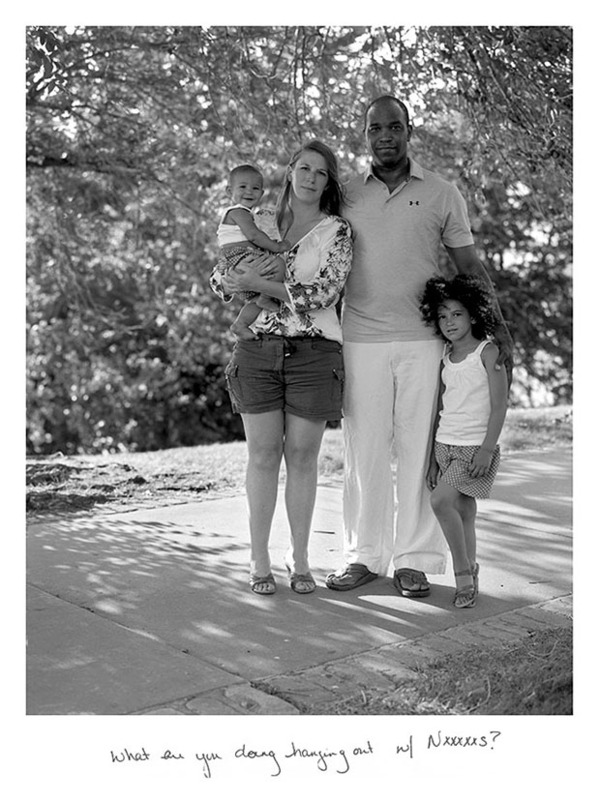 Interracial couples have been free to marry—and to have their love recognized in the eyes of United States law—for nearly half a century, but as a new portrait series by Arkansas-based photographer Donna Pinckley suggests, the American public still has a long way to go not only in accepting and tolerating interracial couples but also in acknowledging the degree of racism that still pervades day-to-day life for many of these families. 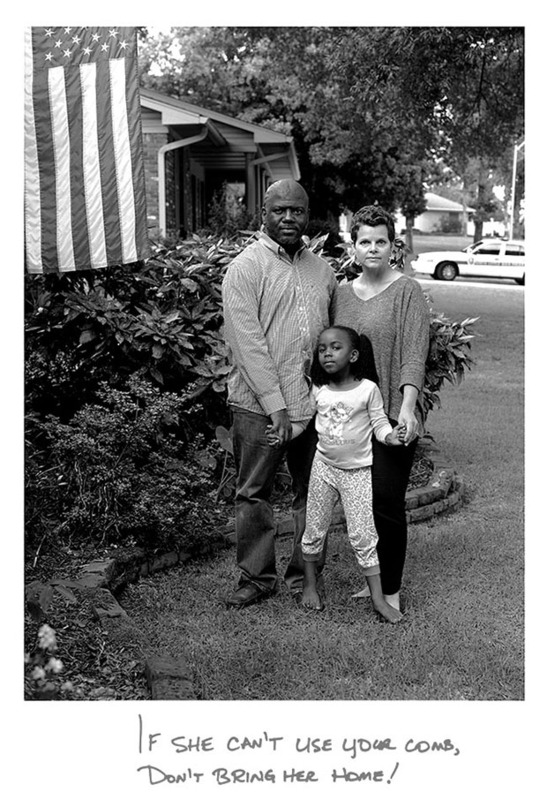 For Sticks and Stones, Pinckley photographs a diverse range of couples from all age brackets across her own state and throughout Southern territories like Mississippi, Tennessee, and Louisiana, before pairing their image with a hateful comment that has been thrown their way, handwritten below. 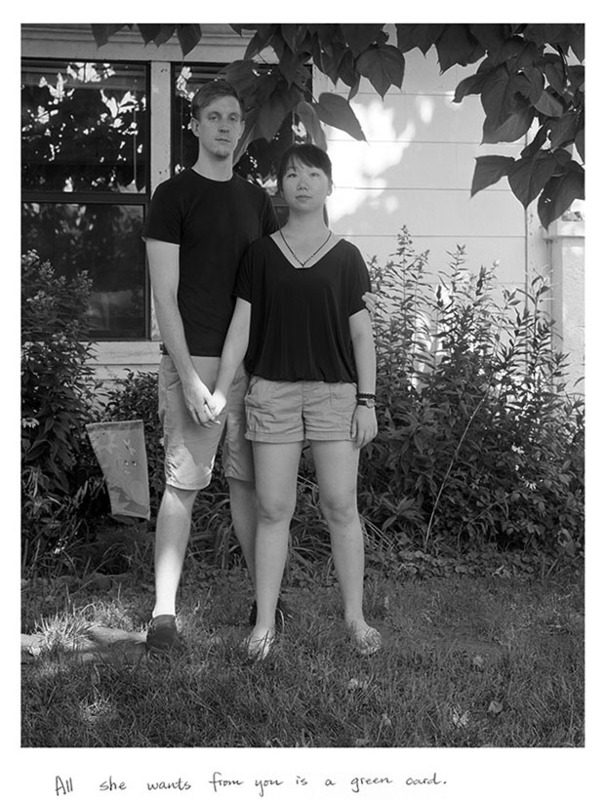 The professor and photographer has spent much of her career following a group of children, watching them grow into early adulthood, and listening to their stories. 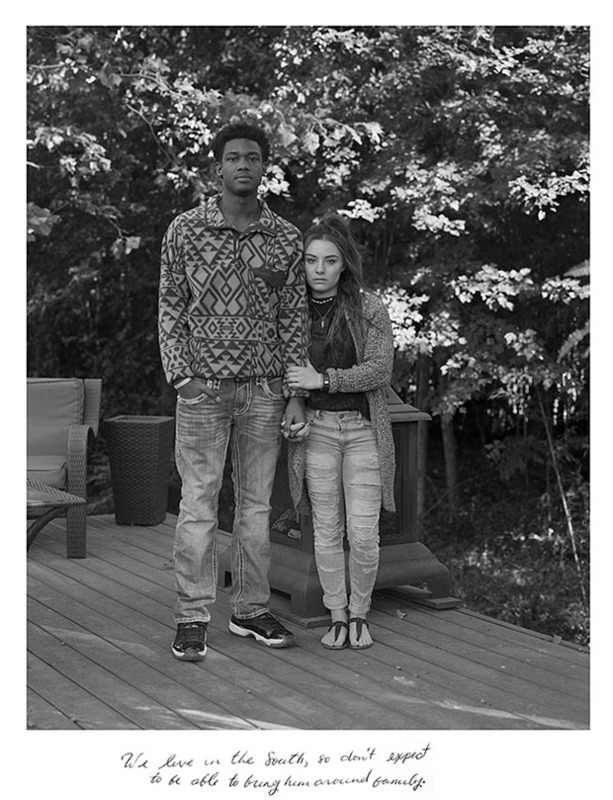 Sticks and Stones was born with one of these youngster’s burgeoning love story; after Pinckley had photographed the girl and her boyfriend, who happened to be African American, she sat down with her mother, who divulged the ways in which her daughter had been berated and degraded by her peers. 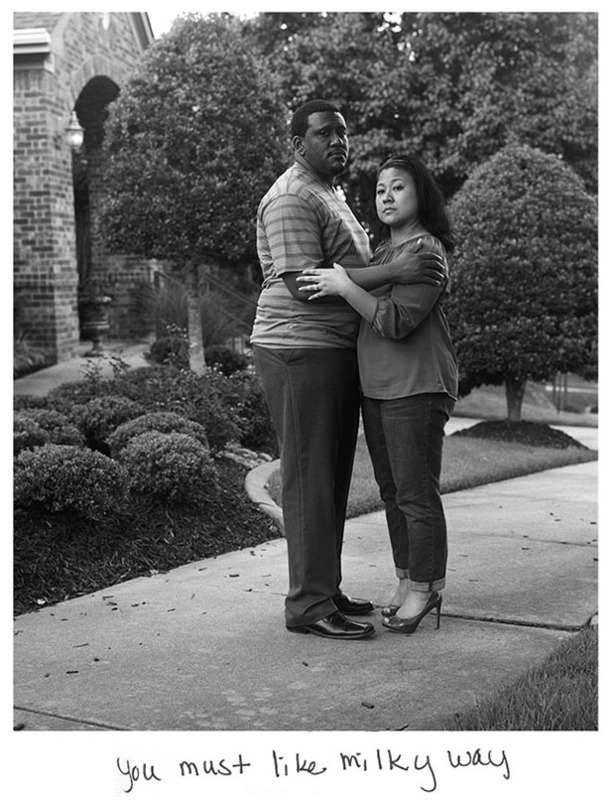 Startled to learn that this generation, like so many before, held on to prejudice and ignorance, the photographer set out to help other couples share their own experiences. 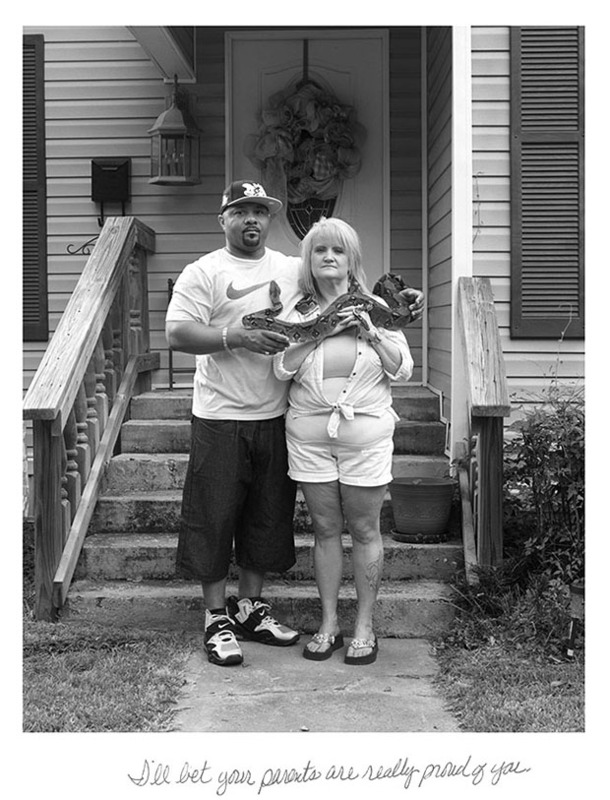 Once she began, word of Pinckley’s project spread, and she found subjects eager to participate. 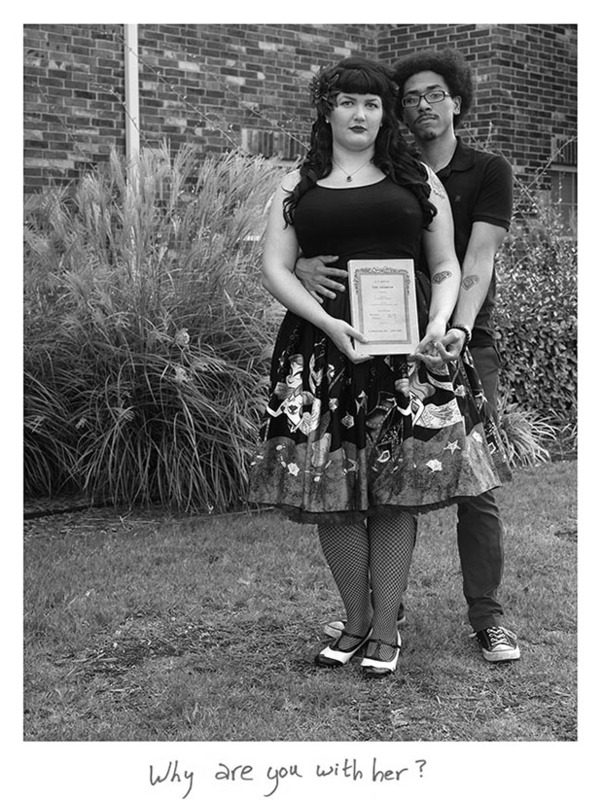 Some said no to the invitation, but the overwhelming majority felt instantly at ease with the photographer and opened up to her about the difficult moments of their relationship. 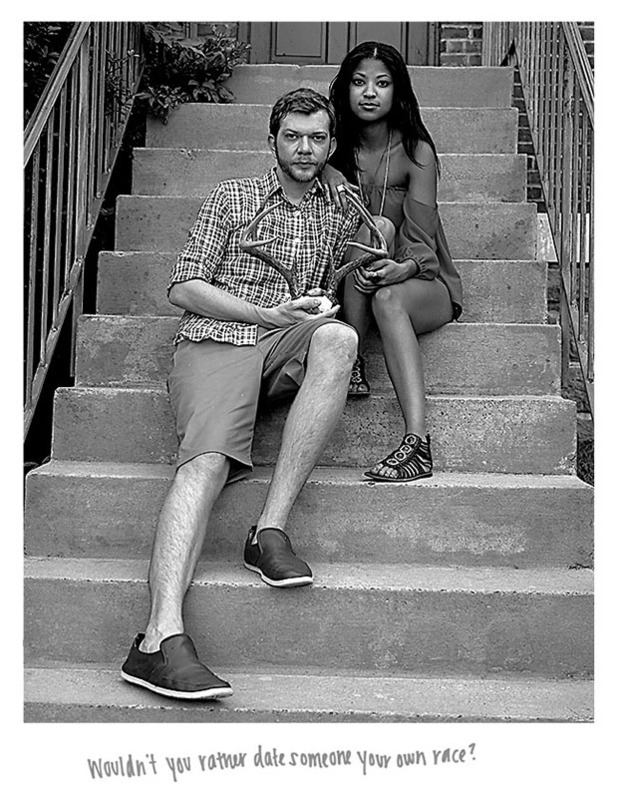 Sticks and Stones, however, is not about the “difficult moments” inflicted by others; more than anything else, it’s about the fortitude of true love and the self-assurance of its protagonists. 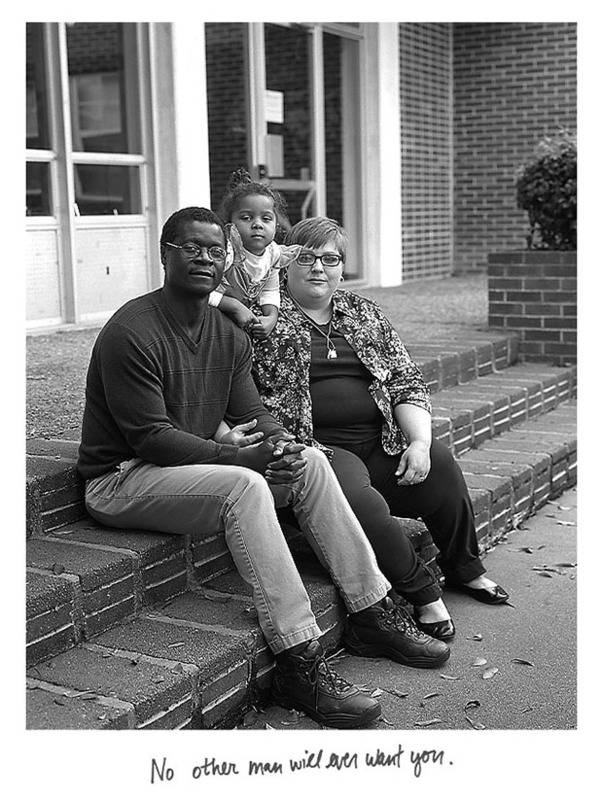 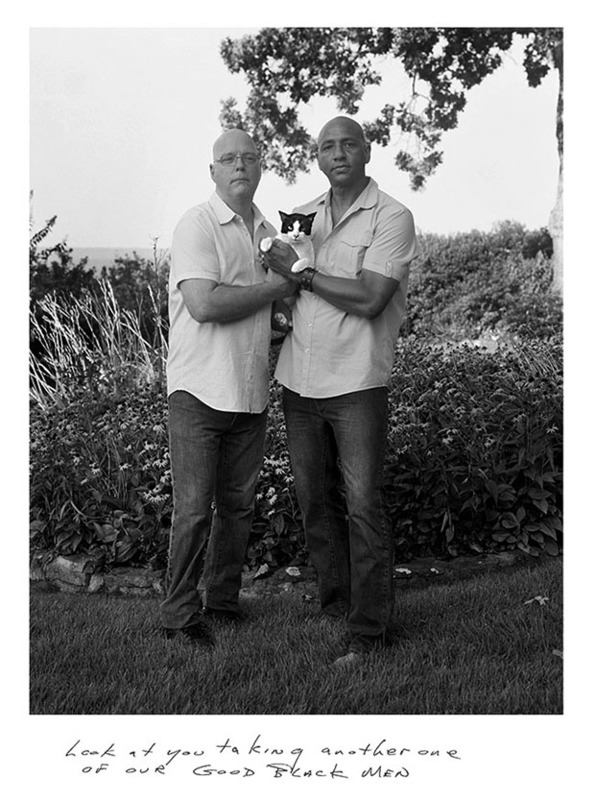 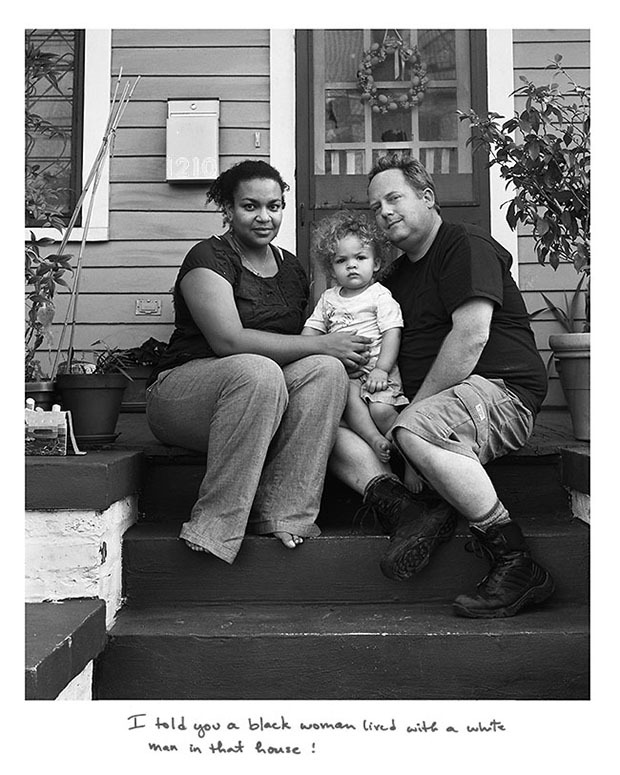 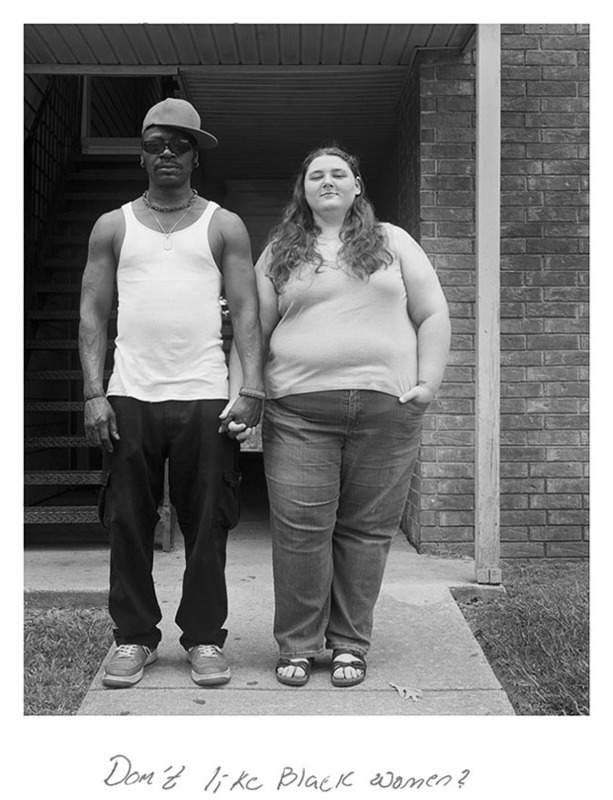 First and foremost, says Pinckley, she hopes to capture the love and abiding spirit of these couples; these portraits are meant to celebrate the partnerships these people have built, the bonds that remain unbroken even after others have tried to tear them asunder. 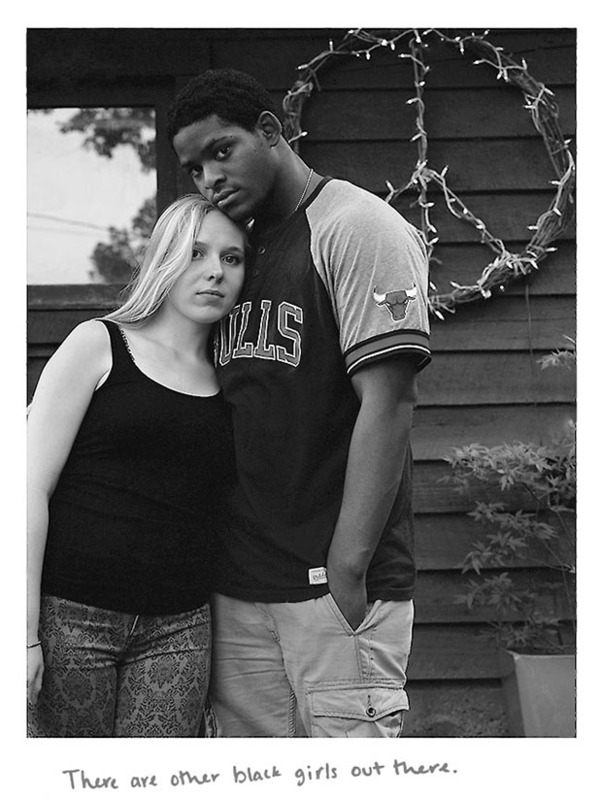 0 responses to "When couples pose to denounce the racist attacks they suffer (14 Pics)"